Playing outside is healthy – both for your child’s body and for their mind. It keeps us sharp, connects us with nature, and allows lots of time for physical activity that helps everyone to stay healthy and happy. Whether you have a huge backyard or a small plot of land next to your home, it’s important that outdoor toys are stored effectively in order not only to keep the space neat and clean but also to keep them accessible for when your child needs them. So if your child thinks in this exact moment that they want to go play basketball, but the basketball isn’t there, then they’ll lose interest and run back inside to that video game. But keeping those things outside neat and clean can be a challenge. Keeping a room neat and clean is one thing, but outside there’s dirt and weather, animals and trees with falling leaves. Not to mention the potential for things to “walk away” if they aren’t put away safely. Here are 20 real and effective ways to store outdoor toys! You’ll want to decide carefully at what point you want to get your child involved in the process. If you get them on the board early, then you’ll have more help. If you wait a bit, then you’ll be able to purge old and broken toys with little fuss. Either way then need to be part of the process at some point so that they’re invested in it. This doesn’t have to be done all at once, but you can do this step over several sessions. Go for the tried and true method of three places that toys can go – “keep,” “donate,” and “toss.” Outgrown toys need to go on to other kids who will love them, and unless something is really truly worth the value and time to fix it, it needs to be tossed. One thing about outdoor toys is that they aren’t used all of the time. Water toys are a summer thing, but bikes are good even in cold weather. As you categorize, keep this in mind. First create categories that are general (sports, garden, pool, riding, snow, etc.) and then split those by summer and winter. Don’t make it complicated! Depending on your storage space and it’s demanded, you’ll want to organize your toys so that they’re easy to get to and easy to move as one unit. That way you can scoot the gardening toys to the back of your space and pull those snow toys to the front easily. You invest a lot of money in outdoor toys for your child, and to keep that investment protected, you need to make sure that you’ve got solid storage. These storage solutions are really affordable, durable, and most importantly easy to use. 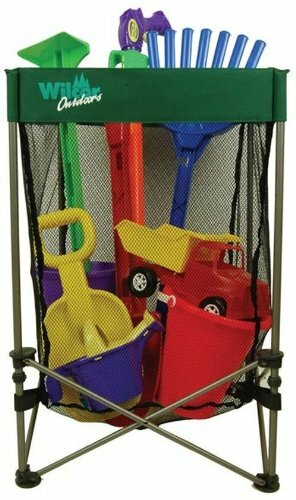 Tips 5-20 offer storage solutions for all of those outdoor toys! 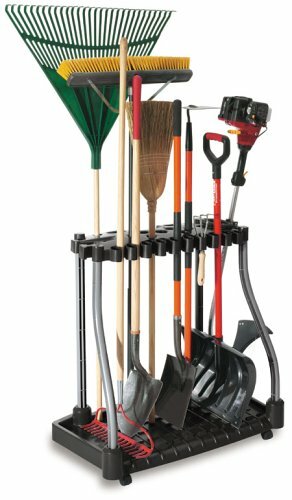 You can store the grown-up lawn tools here as well, or get a separate rack so that the kid and adult tools are separate. Either way this rack makes it easier and makes it much more likely that everyone will clean up after themselves! This alternative is space saving if you’ve got the wall space. Be sure to hang it low so that you kids can reach it easily! Cost-effective and simple to install, these hooks hang right on the garage door tracks. Again, hang not just bikes but also other riding toys up here. The Proteus Model 10-inches J style hook. Easy & convenient set-up. Fastest & easiest organization tool ever invented. You can store anything on the amazing Add-A-Hook. Less expensive than almost any other option. Add-A-Hook does not damage your walls & ceilings. It does not interfere with garage door operation. Bikes fall over, then bounce around. They’re everywhere. 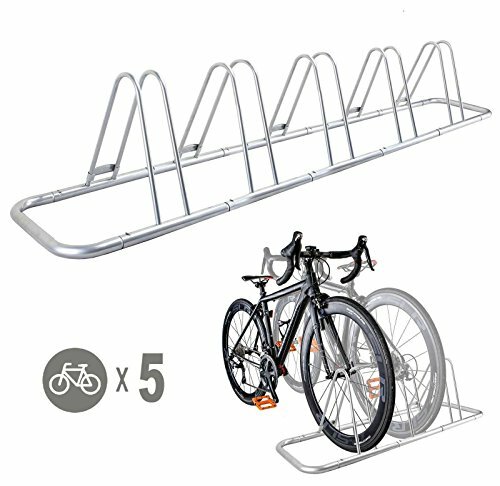 A bike rack is simple and effective, and can be put anywhere! Please note: Not good for Kids Bike, Not for heavy bikes such as downhill bikes, Disc rotor could touch the bike rack although it would not bend, bike hubs may touch the bike rack. 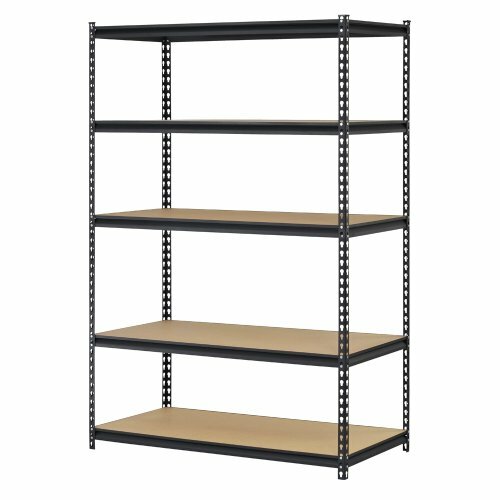 Every storage space needs some sturdy shelves. Simply use wide laundry baskets for easy clean up – kids can grab them and take them right outside. Pair a tough mesh bag with a wall rack or a storage shelf to help your kids have a great place to keep their stuff organized. Bags are so easy for kids to pick up and take with them. 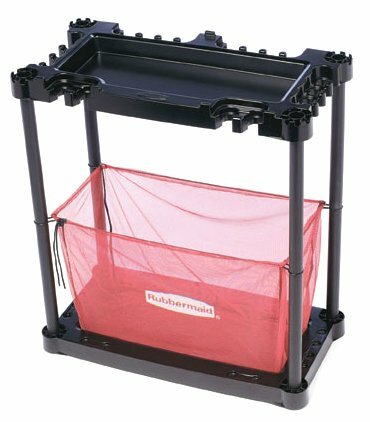 This mesh bin is perfect for the sandbox. For smaller children, you can carry it right outside and then have them clean up. A quick shake and then you can put it back away without getting sand all over! Pool toys are notoriously difficult to wrangle. 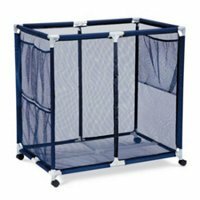 This mesh bin is HUGE and easy to move around thanks to its lightweight structure. It’s also great for balls and other outside toys. 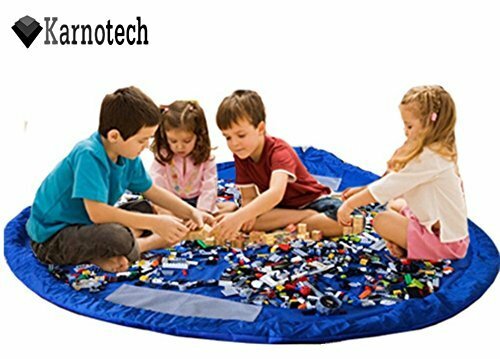 If your child is the kind who likes to bring outside toys inside, then try a storage bag/playmat combo. You child will have a great spot to play that will keep their toys clean and neat! 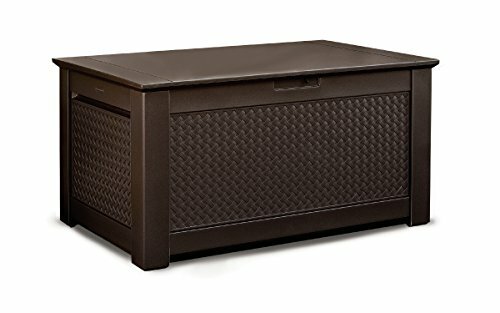 To quell toys that tend to not make it back to their assigned home, try a storage bench. The more convenient clean up is, the more likely it is to happen. 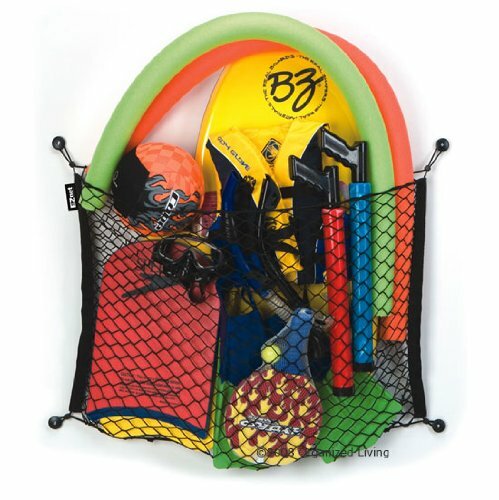 Outdoor toys and sports gear come in all shapes and sizes. This is a great solution that will hold any kind of toy and will mold to your needs. 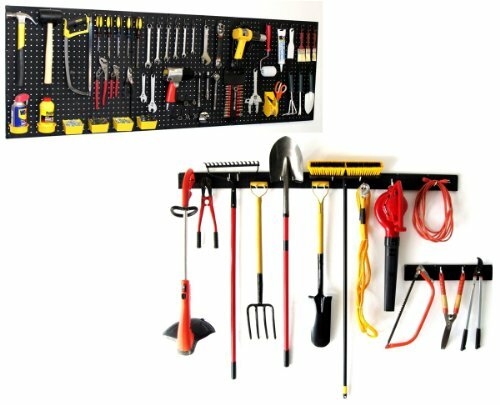 Sports equipment organizer rack is perfect for keeping all sports equipment in one place. 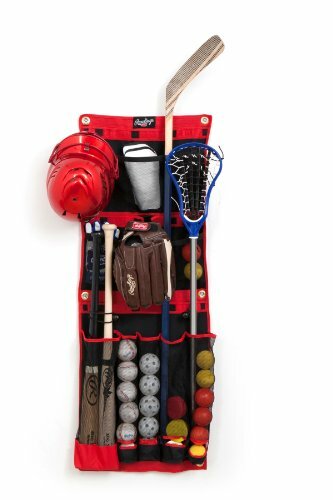 Holds balls, helmets, and up to 20 bats, racquets, or sticks. 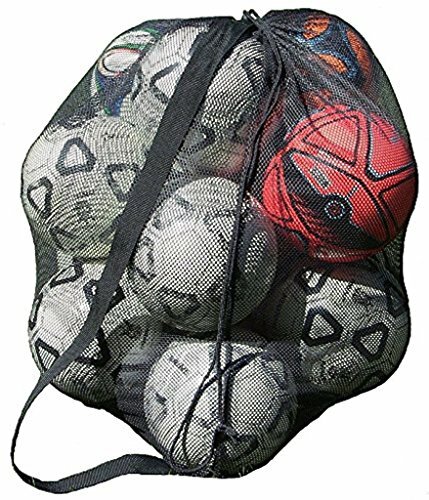 Removable mesh bag stays open to catch balls for storage, then cinches up when it's time to pack the balls off to the court, field, or beach. Molded shelf and side racks offer housing for bats, sticks, and skateboards. 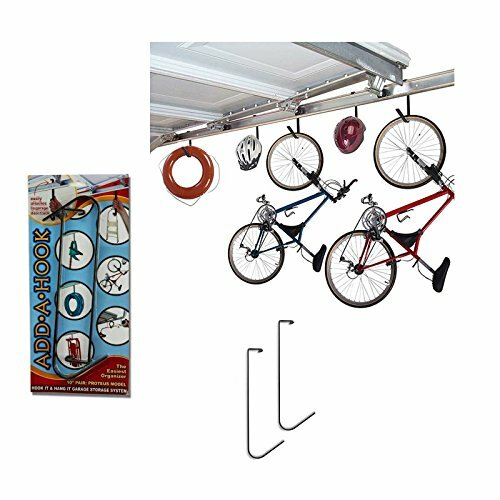 Handy hooks offer easy access to helmets, goggles, and rackets. Balls are great for imagination – they are the heart of kid’s play! Keeping them organized is another story. This rack is perfect – be sure to hang it low for easy access. Low on space? Try a hanging wall organizer. 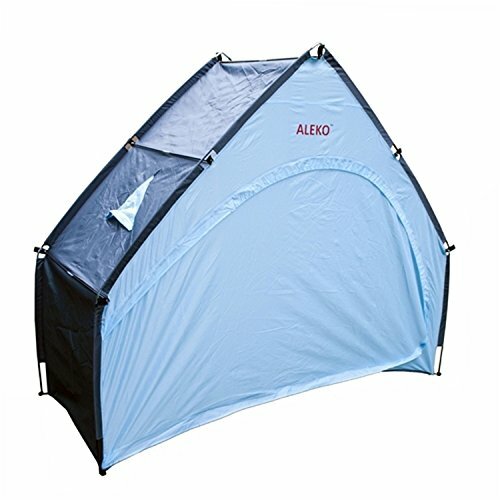 This one is perfect for sports equipment! A simple mesh wall organizer is great for those odd toys like outdoor cooking pots and pans or sandbox toys. Remember to keep it as close to where the play area is as you can! This last one is more important than it seems. A simple shoe rack is an essential addition to your outdoor toy organization. You can use it for those muddy shoes, snow boots and even just as a shelf space for small kids! 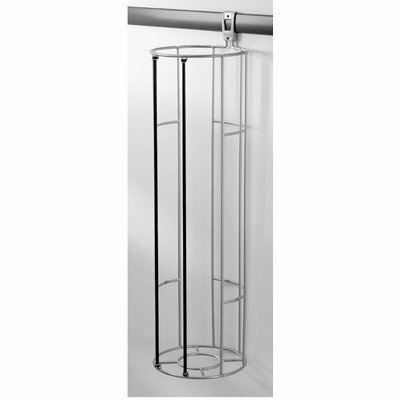 STURDY and RELIABLE shoe rack construction made from durable stainless steel and high quality polymer plastic.QUICK, EASY ASSEMBLY, no tools required. Assembles in less than 5 minutes! Simply attach the stainless steel rails to the outer black resin stands and you are ready to go! 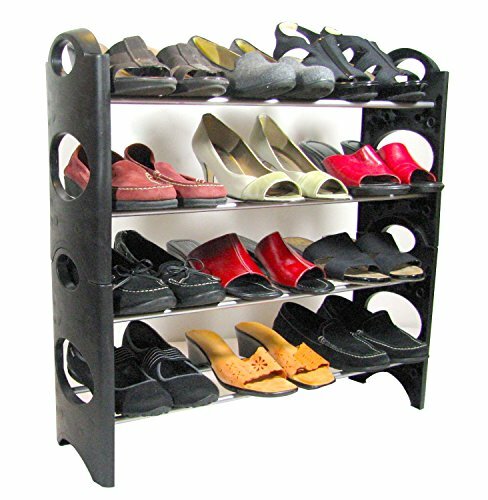 Each shoe rack stores 12 pairs of adult size shoes (Womens size 8 shown in main picture) ADJUSTABLE rails allow easy storage for both children and adult shoes. Keeping outdoor toys easily accessible and well organized will help your child to learn to love the outdoors – a great thing for their health and for the whole family!